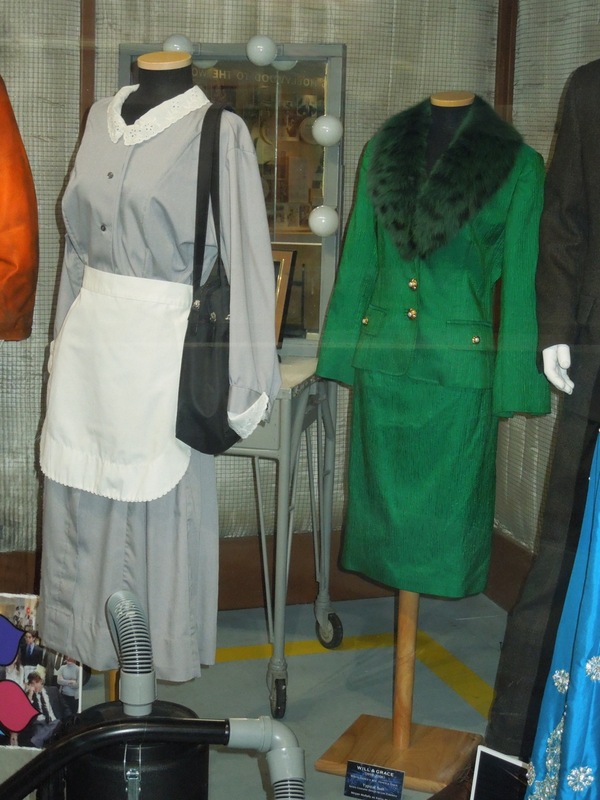 As it's 'Funday Friday' I thought it was only appropriate to feature some original costumes ands props from one of my favourite sitcoms that can always make me laugh, Will & Grace. 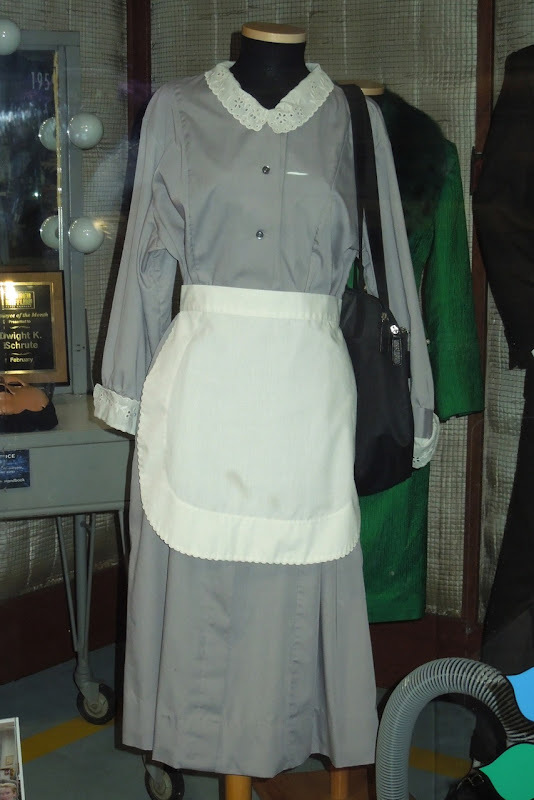 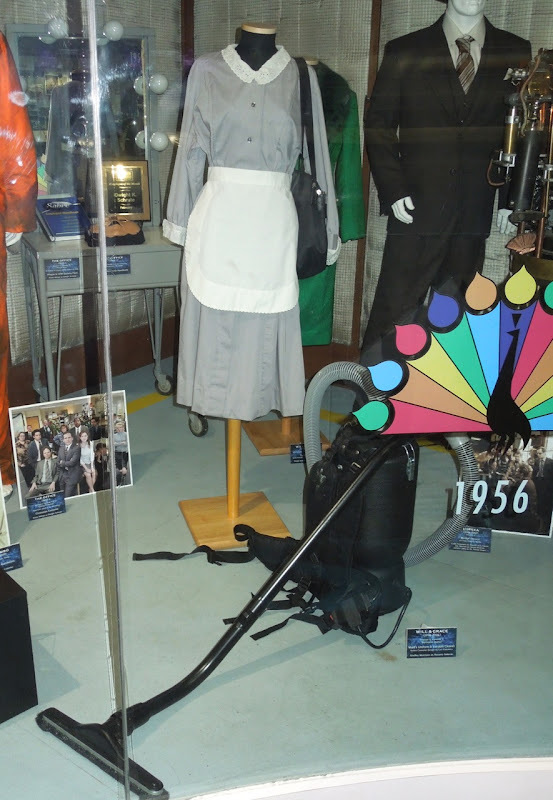 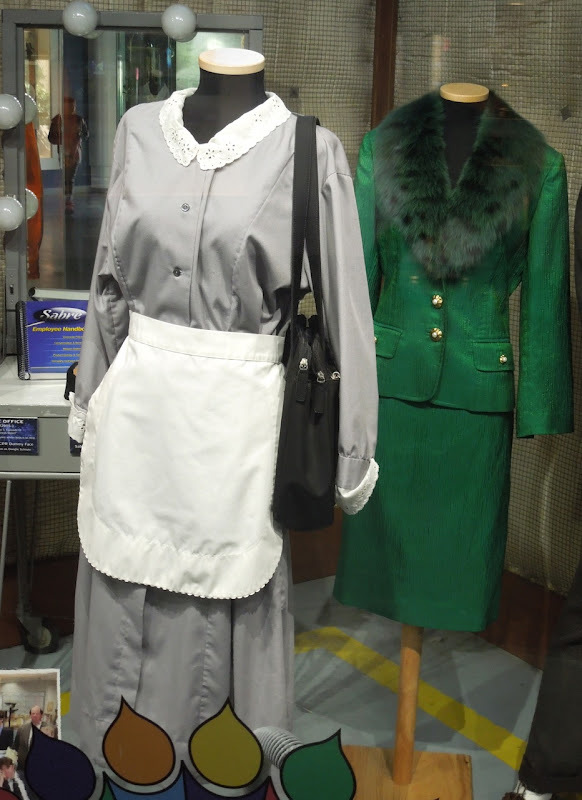 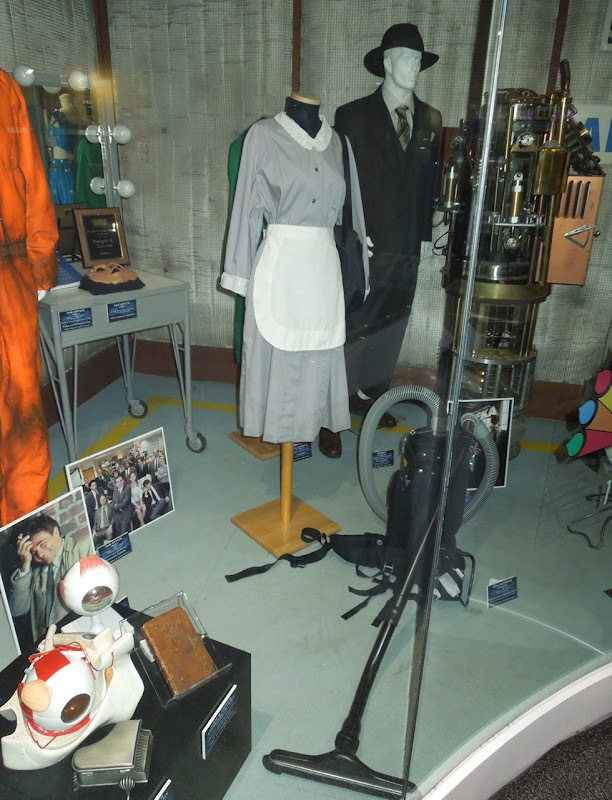 Rosario's signature maids uniform and vacuum cleaner, which featured in the second live episode of the eighth season, 'Bathroom Humor', was photographed on display at Universal Studios Hollywood on February 7, 2013. The whole live episode took place in Karen Walker's bathroom during her annual birthday party and Rosario uses the vacuum to hoover up all the pill bottles that spill out of Karen's bathroom cabinet. 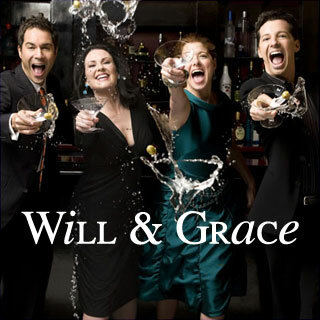 The American sitcom about a gay lawyer and his best girl friend ran for eight seasons from 1998 to 2006 and also starred Megan Mullally& as the drunken, pill-popping millionaire socialite and Grace Adler's assistant 'Karen Walker'. 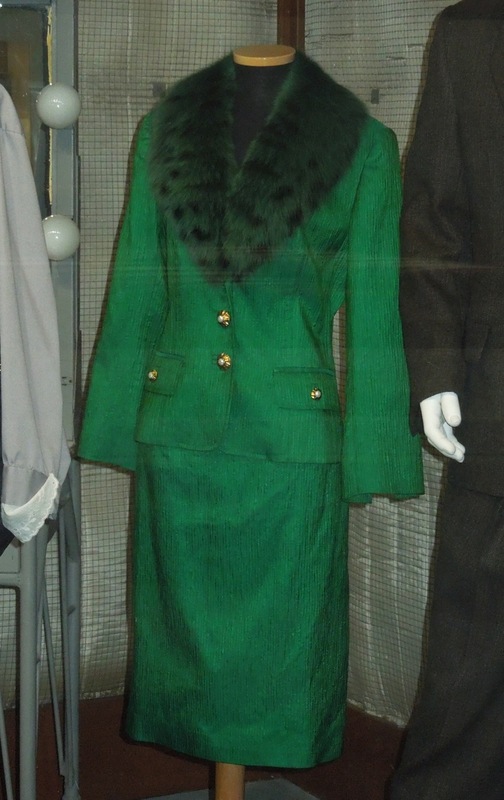 Here's one of the green outfits she wore in the breakout role on display behind Rosario's costume. 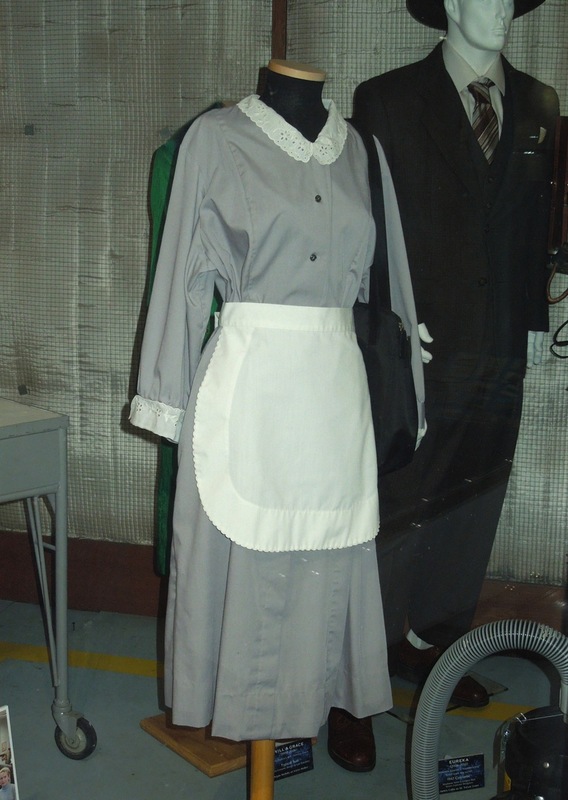 If you like these be sure to also check out these original costumes worn by Eric McCormack and Debra Messing as Will & Grace by series Costume Designer, Lori Eskowitz.